Do you ever look at the current range of excellent telescopic suspension forks on the market and just wish there was something different on the market? Sure, there’s the Lefty Ocho, but what if you want up to 170mm travel and have a soft spot for the old Girvin Vector fork? If those very specific wants and needs sound like you then we have some very interesting news for you. 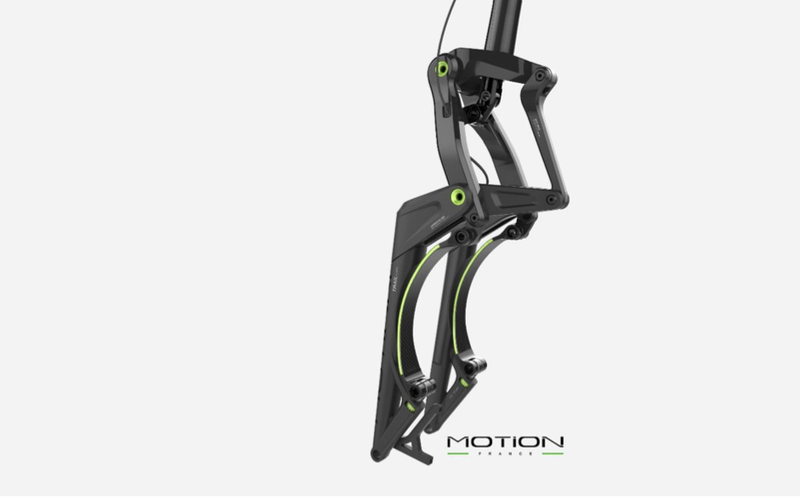 French start-up Motion has finally made its parallelogram linkage fork available to buy for the first time. Those of you who have been following the Motion story will remember that back in 2015 the first Motion forks were shown to the press, then in 2016, the company went to Kickstarter to, well, kickstart the project. The idea of the fork was to offer controlled suspension and eliminate fork dive when braking, all in a super lightweight package that tracks well. The original specs from 2015 were for 2 forks, a short travel model for 27.5in wheels with travel of 120-160mm and a 29er version with travel limited to just 80-120mm. Over the past 3 years though bikes have changed and Motion has continued to develop the fork so that the 27.5 version, the E18, has between 150-170mm travel while the E18+ suitable for 27.5+ and 29er wheels sees an increase in travel from 140-160mm. With these travel increases the Motion fork has also ditched its dual carbon leaf springs for a single carbon spring called “THE WAVE” on the right and air shock “THE FLOW©” mounted to the left. 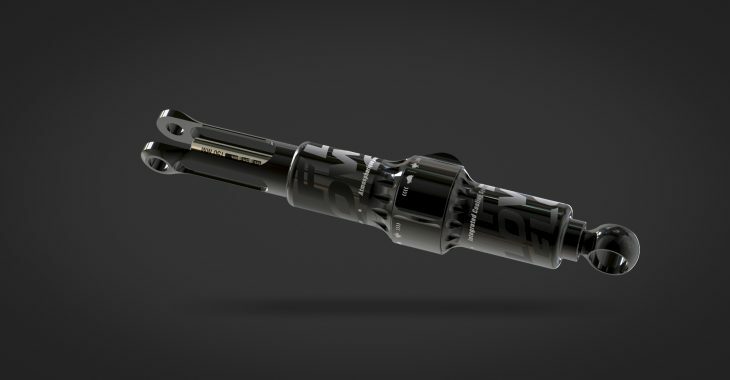 There aren’t many details on the official Motion site, but it looks as though “THE FLOW©” is a custom-made air shock with rebound control. The company claims that using this combination of shock and leaf spring makes for a frictionless system that doesn’t require lubrication and will continue to feel as good as new even after months of use. What’s more interesting is that Motion states there is no “wear” on the parts of the fork, but we can clearly see that the linkage design uses bearings and we wonder what kind of maintenance they require. Another change from the original 2015 specs is the weight, which has increased from 1.85kg to 2.1kg which actually brings the weight to around the same as a Fox 36 Factory. In addition to the E18 and E18+, Motion also lists release details for other versions of its linkage fork. An all-mountain version of the fork will be available to order in October, a short travel XC model is expected in spring 2019, while there’s even a downhill model due next summer. 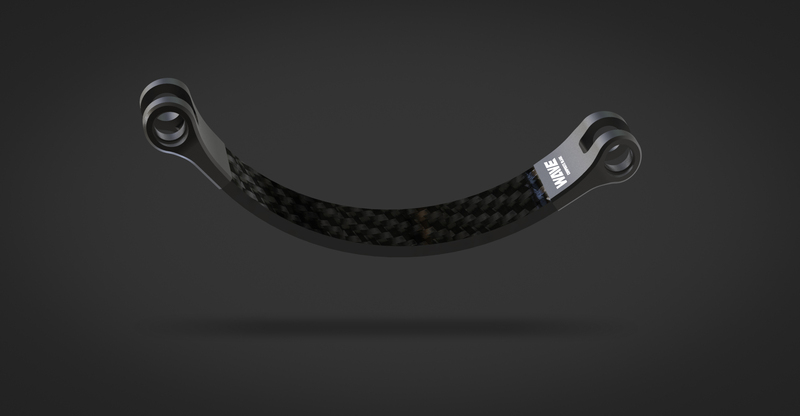 We would love to hear your thoughts on the Motion linkage fork. It this something that you’ve been waiting for? Do you think it could finally replace traditional telescopic forks? Let us know in the comments below. That makes it a fork I’d look at. There are a few 1200GS’s around the world, not to mention the 1300s and numerous other Beemers etc!!! As cyclelife says, it’s the very reason so many of us like the BMW telelever suspension. What’s not right is a fork that dives as a result of braking. Just because we are used to it doesn’t mean it’s right. Love it, even if it looks nuts. Brake dive is part of why we have such slack geometries. 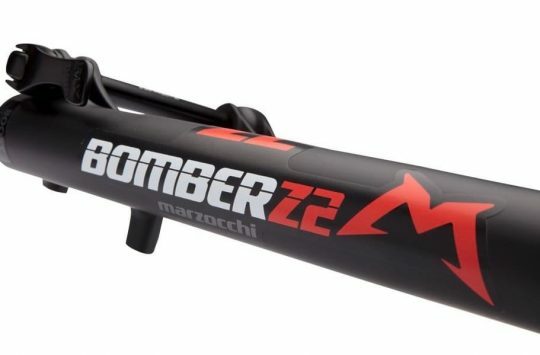 With all the work in rear suspension to get the right anti-squat and progression, for MTBs to still be on a basic front suspension design with flaws doesn’t make a lot of sense. But they work OK and there’s reasons telescopic forks still rule – OE spec and looks more moto. 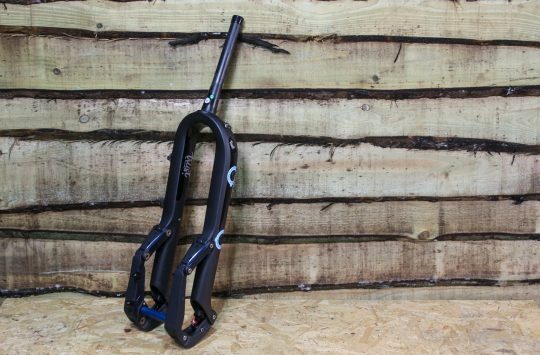 These linkage forks could work superbly but obviously the looks will be a bigger decider or reason not to buy, MTB is a fashion leisure industry as much as anything technical. 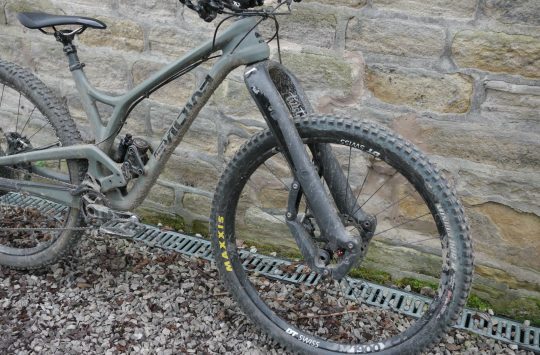 An update of the USE design with some Cannondale Lefty experience could be brilliant, and fairly unoffensive looking.